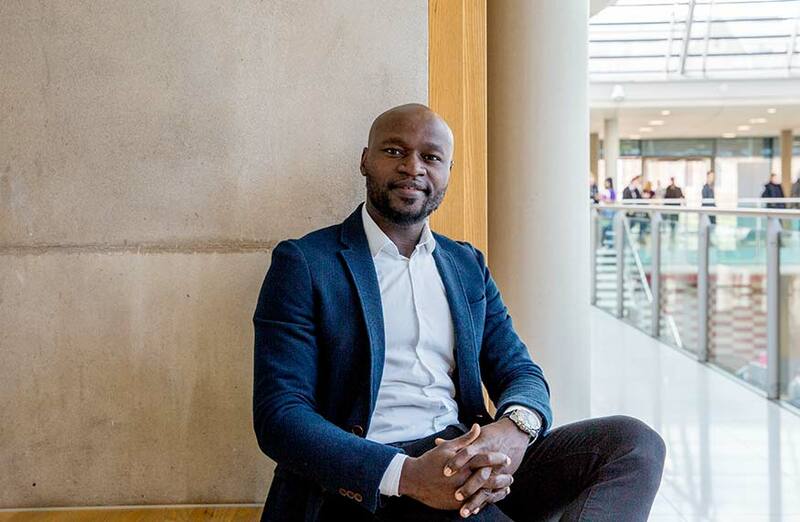 Dr Jidong completed his PhD in 2018 at the University of East London (UEL) and his thesis examined the impact of cultural beliefs on mental health in Nigeria, funded by the UEL Excellence PhD Studentship. His PhD research also received accolades such as the 2017 and 2018 Delegates Choice Poster Winner at the British Psychological Society (BPS) Annual Conferences in Brighton and Nottingham UK. Intervention research on clinical and cost-effectiveness of a group Learning Through Play (LTP) plus Culturally adapted Cognitive Behaviour Therapy (CaCBT) for depressed mothers in Kenya and Nigeria. Professor Nusrat Husain – University of Manchester, UK. Professor Rachel Tribe and Dr Aneta Tunariu – University of East London, UK. Dr Poul Rohleder - University of Essex, UK. Professor Haruna Karick, Associate Professor John Dokotri, Associate Professor Zubairu Dagona and Associate Professor Gloria Karuri – University of Jos, Nigeria. Jidong, D. E., Tribe, R., Tunariu, A., Rohleder, P. & Mackenzie, A. (under review). Cultural beliefs and attitudes towards mental health and wellbeing: A mixed methods research of the Berom ethnic people of Nigeria. Transcultural Psychiatry. Nyashanu, M., Jidong, D. E. & Nyashanu, P., (under review). Perceptions about the causes of mental health problems among Students of Higher Education in Zimbabwe. Journal of Black Psychology. Husain, N., Notiar, A., Hawa, F., Edge, D., Shah., S., Bassett, P., Jidong, D. E., Chaudhry, N., & Naeem, F. (in view). Treatment of maternal depression in low-income women: A feasibility study from Kilifi, Kenya. Frontiers in Psychology. Jidong, D. E. (2019). Students as partners in co-creation of learning activities in order to include differentiated instruction. International Journal of Social Science Education, 1(1), 342-349. Jidong, D. E., & Sanger, R. (2018). Exploring Critical Understanding of Hoarding Distress among Elderly People in Nigeria: A Review of Smail’s Impress of Power Model. International Journal of Health Sciences, 6(2), 46-51. Dokotri, J., Jidong, D. E., & Pam, V. D. (2017). Work behaviour of retained employees after merger and acquisition in Nigerian banks. University of Jos Journal of Social Science 1(2), 34-42. Dokotri, J., Jidong, D. E., & Pam, V. D. (2016). Merger, acquisition and employees’ work attitude after bank reform in Nigeria. Review of Social Sciences Journal, 1(9), 1-12. Jidong, D. E. (2016). The impact of Berom community cohesion on psychological well-being. The Maiden Edition of Kuru Views 1(1) 30-32. Dokotri, J., Jidong, D. E., & Pam, V. D. (2014). The perception of Boko Haram: depressive anxiety to stress among northern and non-northern Nigerians. The Nigerian Journal of Psychology, 20(1), 89-97.